The A4 Filapockets have been specifically designed to provide efficient and durable filing for a wide variety of books, magazines, letters and documents. In blue, comprising 6 overlapping pockets for maximum storage in a compact area. Ideal for hanging on a wall or door. 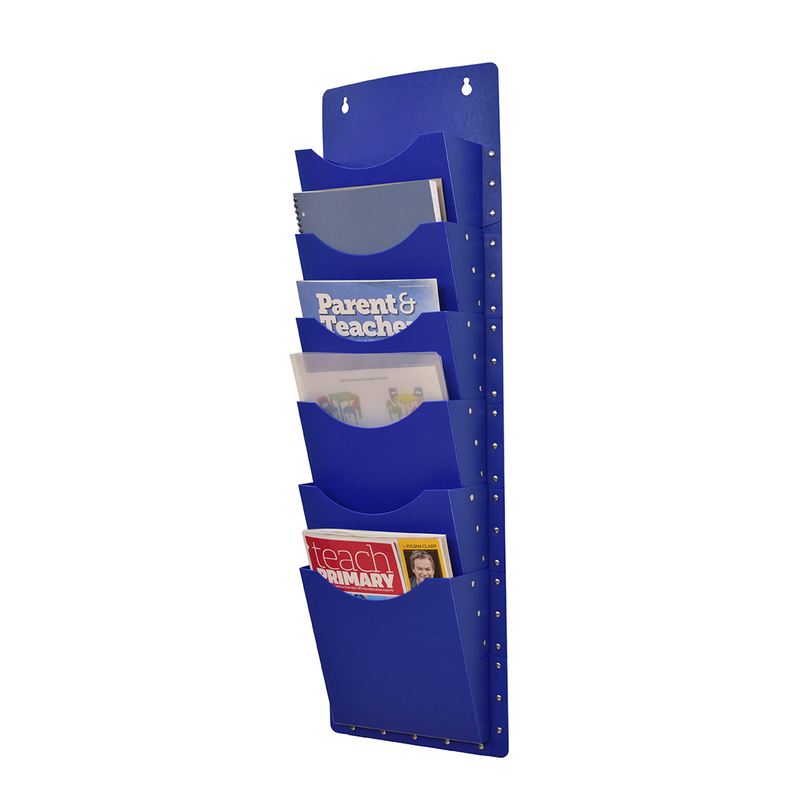 Constructed from heavy duty polypropylene, robust and easily wiped clean.